Butter the bread slices and set aside. Place a slice of buttered bread on a plate and top with lettuce, a few brinjal slices and chilli. Place a slice of buttered bread on top of the first layer and top with more lettuce, tomato slices and some onions rings. Season with salt and a dollop of mayonnaise. Place another slice of buttered bread on top of the center layer, top with fried chips and season with salt, vinegar and chilli powder. Top the chips with a generous layer of cheese and some English mustard. 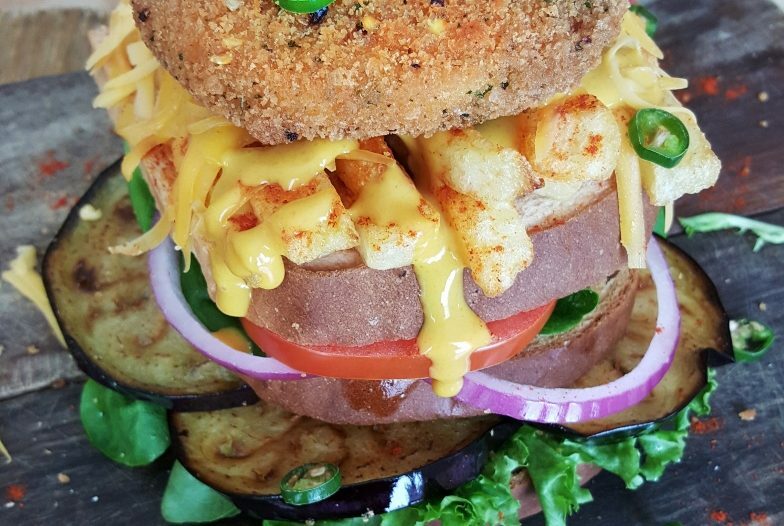 Behold, the perfect Quorn tower, undoubtedly a big bite to satisfy any craving. Tip: Omit the center slice of buttered bread for a smaller tower.